Kentwell is a new development in the works on Burke Mountain, with completion slated for late 2018/early 2019. 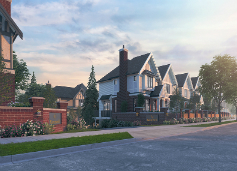 Built by Polygon homes, these 4 bedroom townhomes will feature large outdoor living spaces, double garages and the spacious floorplans Polygon is famous for. These homes will boast spa-like bathrooms, gourmet kitchens and trendy, high quality finishes.